Electric Zoo Festival | August 31, 2018 to September 2, 2018 - 365 Festivals :: Everyday is a Festival! One more music festival you must experience if you are in the United States is the Electronic Zoo festival. A great event to live the best chartbuster all over again and watch new talents. Undoubtedly music is something which brings different communities together and, this is what this fest does. So, if someone anywhere close to New York, they must not miss this fest. To boost your knowledge about this crazy but cool fest here is all the details of this fest. 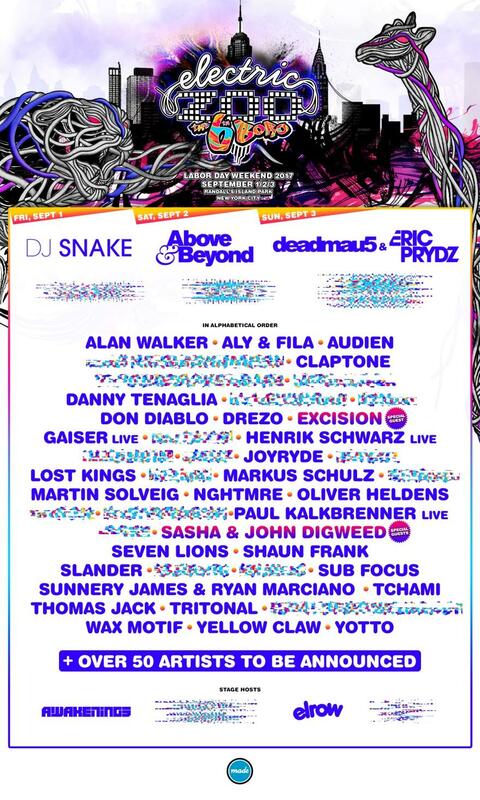 Electric Zoo Festival gives the option to dance to the rhythms of world-famous DJs. This party schedule on the weekends of Labour Day. This fest took place on the weekend before the first Monday of September. Like every music fest, the main context of this fest too is music. Moreover, this fest will bring every genre of electronic music. This fest initially occurs in the Randall's Island of New York City. But now this fest also covers the Mexico City. Well, the fact that Americans are a huge music lover needs no proof. Since every year witnesses, a huge celebration when compared with the previous one. When is Electric Zoo Festival in 2018 ? Electric Zoo Festival is scheduled to be from August 31, 2018 to September 2, 2018. This event is being celebrated Friday which is August 31 to Sunday which is September 2. This fest was active since 2009. It was 'Made Event' who receive the credit for founding and organizing this event. 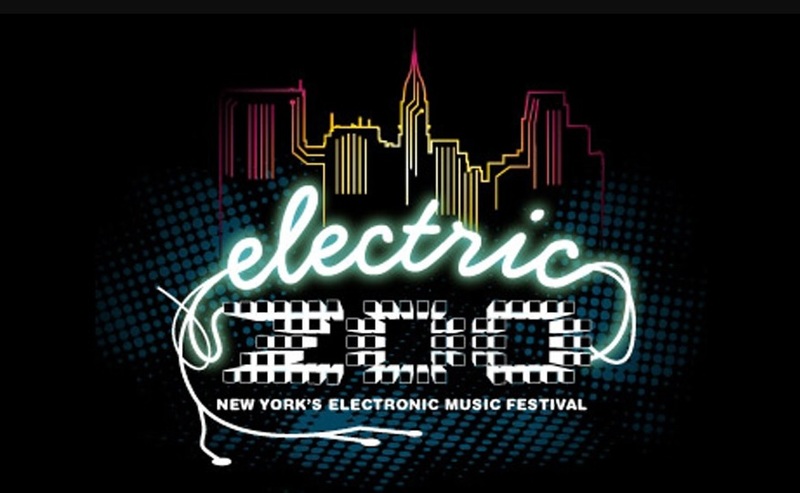 As the name suggests, Electric Zoo Festival was set out in the zoo area. For this reason, the party animal turned their head to Randall’s Island. Moreover, this place has wilder animal than any other place around New York City. The New York City of America has an eventful history in music and dance. Be it 80s or 90s, every time, many new talents with it in music. After the rise of electronic music, the music game changed and become even bigger. How the Electric Zoo Festival is celebrated? By 2017 this fest completes 9 years. Since then this fest is gearing up all the music enthusiast with the loud and happening music.In the first fest back in 2009, it registers nearly 26,000 viewers. Although, there are many fests began around the Labor Day weekend this fest manages to be in top 3. It is evident from the fact that this fest never saw any drop in the viewership. Undoubtedly, there is a long list of performances going to occur in between these two days. In 2009, there were 55 line-ups took place. They all give fiery performances resulting in the public shouting out for once more. The fest venue is striking in its look with colorful lights covering the stage from all sides.As the night grows, the whole surrounding filled with the energy of the electronic music. There are five different stages where plenty of artists goes live in front of viewers. What do people do at Electric Zoo Festival ? People reside around New York city make-ahead plans to visit this fest. Summers are on the last stage as it is September giving a final break to make fun. All in all, the fest is about eat, dance and drink. Numerous food vendors serving lip-smacking dishes are all around. Many famous DJs like David Guetta, Deadmau5, Armin van Buuren and Ferry Corsten make the folks dance all night.